Previously a third line IT engineer at Sytner BMW head office in Leicester, I handled big projects and looked after 6000 computers across Sytner dealerships throughout the U.K. I studied Physics, Chemistry, Maths, English and Chinese for my A levels and had 5 A. I have a masters qualification in Physics from Loughborough University. My husband is U.K. National, I am currently holding a married spouse visa which allows me to work in the U.K. full time and I will obtain my indefinite leave to remain permanent visa before march 2018. I have 15 years of tutoring experience in a variety of areas and have played piano since I was 4. Now being a mother of 2 young kids, I have decided to leave my busy career as being an engineer, I have started teaching piano from home as my main job. I am a registered piano tutor. 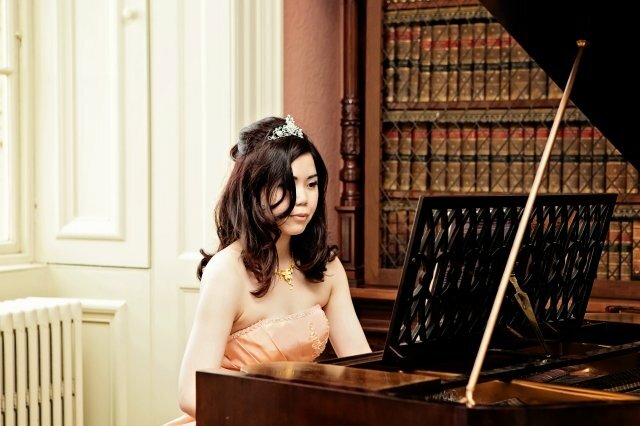 I have been playing the piano for over 20 years and have a YAMAHA certificate equivalent to ABRSM level 8… I aim to help students pass the ABRSM piano exams and enter British and international federation of festival music competition. I am passionate about teaching and always go extra the mile to make sure that my students will establish a solid foundation. My current youngest piano student is 4. 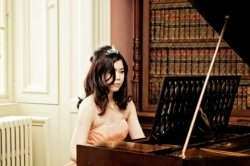 I also have many music school students coming to me to learn the piano from Leicester. I try make my lessons fun and understandable for beginners. I use different materials and activities throughout my class to teach young students. I am very patient with young students. I teach piano by solfa system (do re mi) alongside cde method. Knowing do re mi, singing while playing piano is a powerful tool, it would help students learn how to play piano more effectively as well as doing better at sight reading/aural tests for ABRSM exam. Due to my current tight schedule with my students, I am not able to travel to students' houses for the lessons. But I provide free wifi, parking, refreshment for my students' parents who need to wait here in the waiting room.We also have a play room facility to accommodate students' siblings. Meng-FangFrom Cal (5/5): Probably the nicest , most enthusiastic and most motivating piano tutor ever. My son is progressing really well in skill and confidence and is supported really well in his learning. The whole experience is also welcoming with great hospitality making waiting during lessons a pleasure in itself. Highly recommend and so glad we found her!